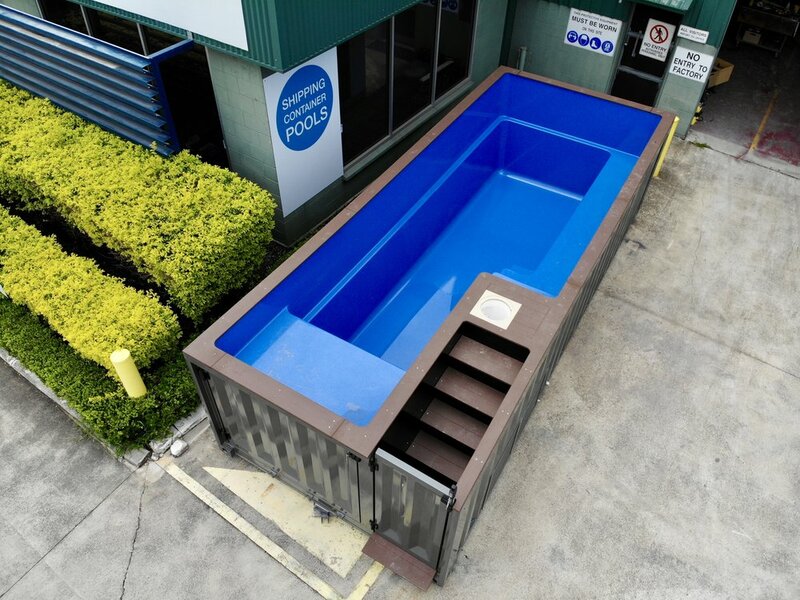 Each Shipping Container Pool is pre-assembled in a controlled factory in Australia making it the most sustainable pool on the market. THROUGH THE CHILD-SAFETY DOOR, WIDE WOODEN STAIRS LEAD UP TO A LANDING, ALLOWING EASY ACCESS INTO THE SWIMMING POOL. WITH A SMOOTH AND NONPOROUS SURFACE, ALGAE HAVE NOTHING TO ATTACH TO, MAKING CLEANING YOUR POOL 90% EASIER AND THEREFORE REQUIRING LESS CHEMICALS AND TIME. THE COLOUR IS MOULDED INTO THE PRODUCT, GIVING IT A SMOOTH AND DURABLE FINISH. Moving House? Now you can take your pool with you. Your new Shipping Container Pool is fully portable. Just follow our relocation procedure to maintain your warranty.